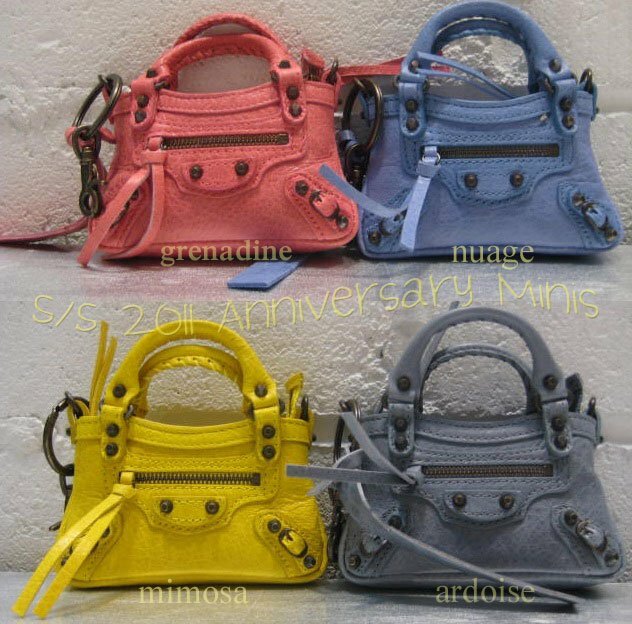 Okay, so I couldn't help myself when I received the pictures of the mini first key rings from my SA Bill in Balenciaga New York. They were so adorable and he had all my favorite colors in stock. I had to narrow it down to one.. so I chose Grenadine! I love pink (in small doses) and I think this season's is my favorite. 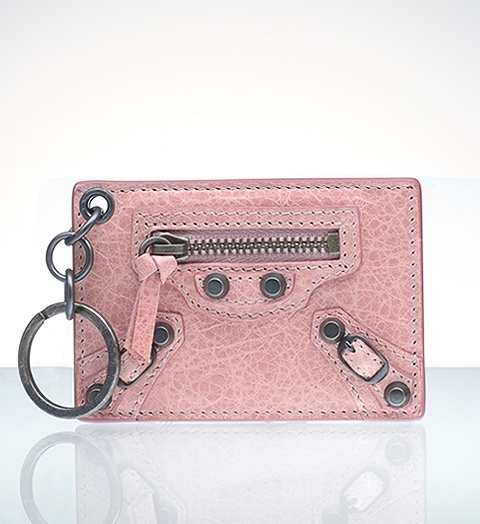 The mini anniversary First key ring is slightly smaller than my 2009 Framboise Mini Coin Purse and it most definitely cannot fit a credit card in it. 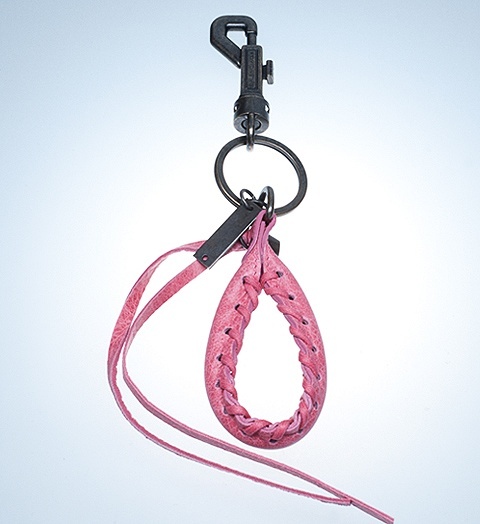 I think this key ring mini is best for coins and small things similar in that size. 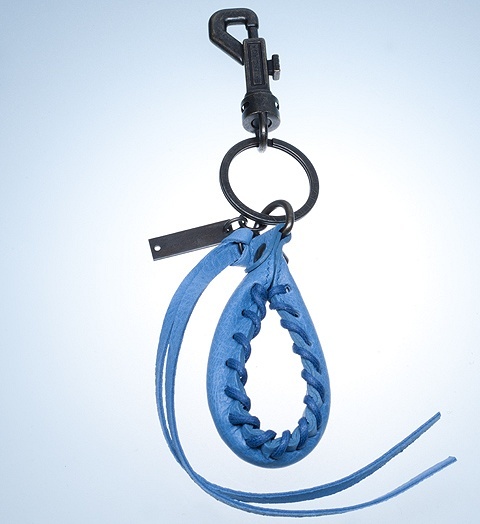 The clip is not as secure as I'd like it to be, so I'm not sure if I'd hang it off my bag. 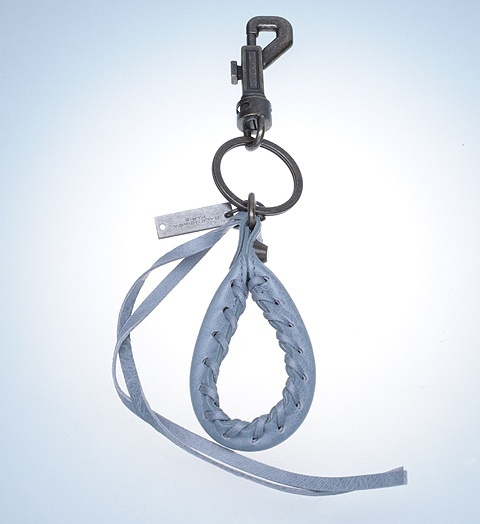 The Agneau leather that was used to make this key ring is on the delicate side, so I either have to be really careful or just admire it from the box lol. 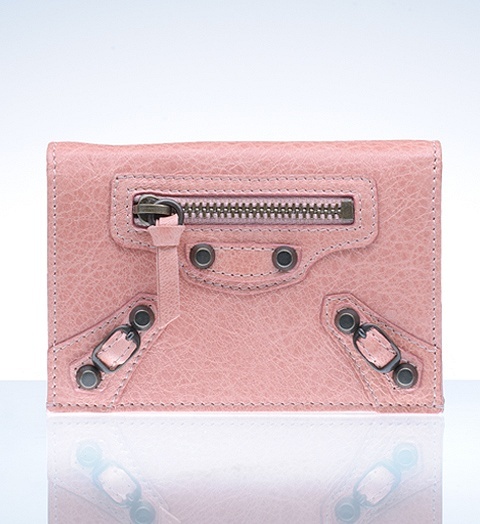 Below I've compared it to a card, my 2009 Framboise Mini Coin Purse, and 2008 Pale Magenta Giant Silver Coin Purse. Expectant Jennifer Connelly, who's also the face of Balenciaga was spotted taking her kids to school on April 27, 2011 in NYC. 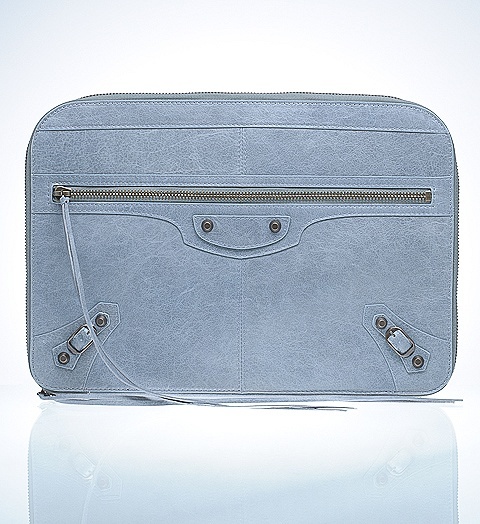 The Brief is a trapezoid shaped bag that is very roomy and is more spacious than the City. 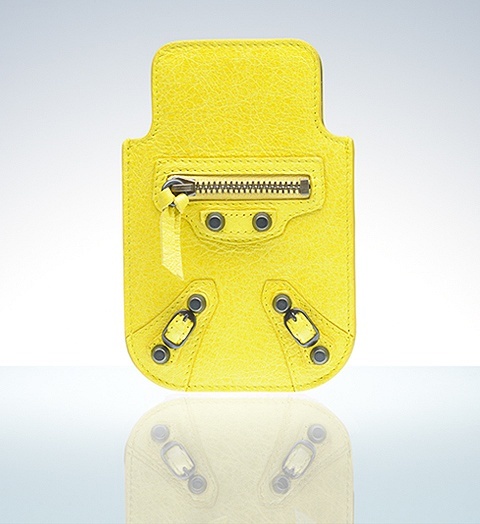 I have not seen it being made in the recent colors but it is still available at Barneys online. The Brief style existed in the Classic Aged Brass Hardware, Covered Giant Hardware and Gold & Silver Hardware. I did own this bag for a short period and I will mention that it sat very nicely on the shoulder but was overwhelming for my petite frame although it fits Jennifer perfectly! Madonna was spotted out in NYC on April 25, 2011 wearing black Balenciaga flats! Balenciaga flats are now one of my favorite brand of flats next to Lanvin. I wore my black lizard embossed flats the other day with jeans and they are so comfortable! They look so cool with her super distressed jeans and plaid button shirt. Giveaway ends this Saturday! If you have not entered already, please click here for details on how to enter. Click here for similar shirt by Rebecca Taylor on sale! 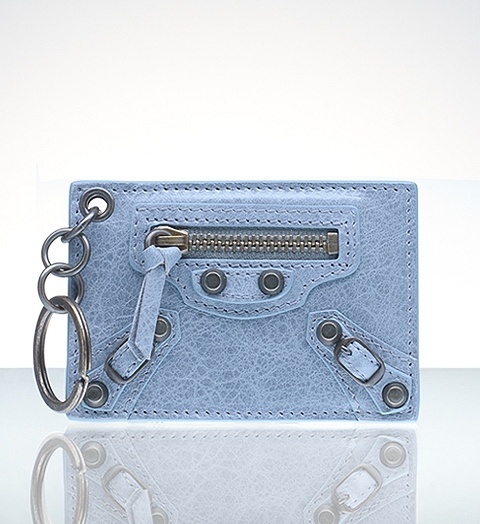 Click here for similar jeans by Balmain on sale! We have another gorgeous batch of photos for this set of reader photos! 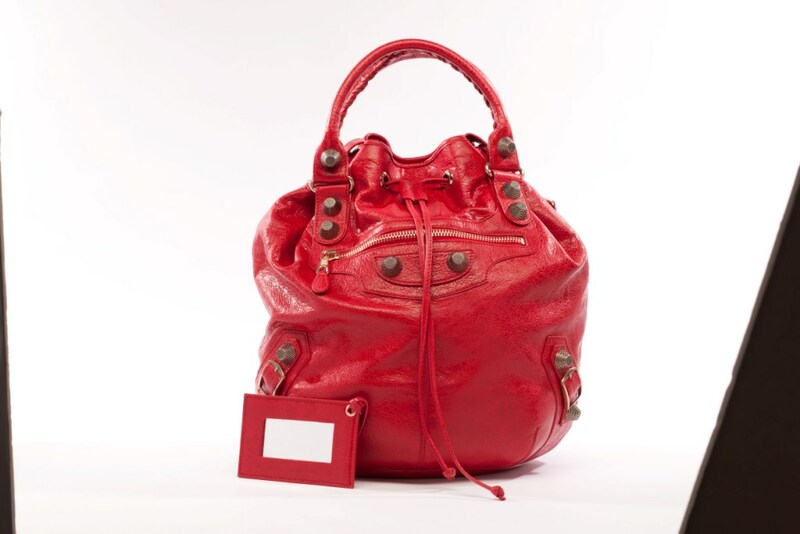 :) This time we have some great 2011 Balenciagas! A big thank you to those who participated for this set, and if you'd like to share your Balenciagas please email them to me at balenciagaloving@gmail.com. 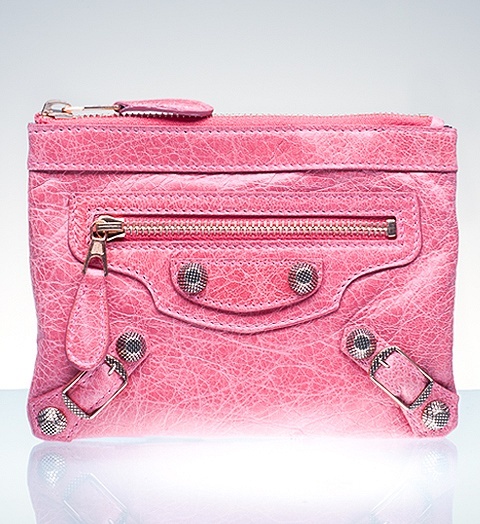 There are 4 only days left to our giveaway for a Balenciaga pouch and goodies! If you have not entered already, please click here for details on how to enter. Phoebe from Taiwan shares the cutest picture of her brand new Mimosa RH City. 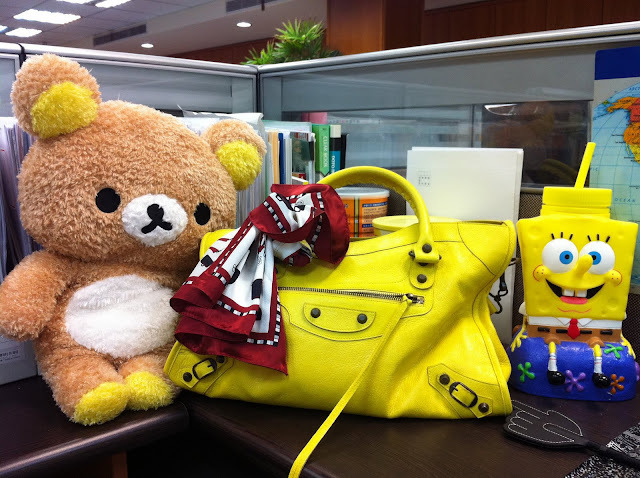 She pairs the bag with the popular Japanese character Rilakkuma and SpongeBob Squarepants! They go together adorably!! The more I see Mimosa, the more I fall in love with this color. 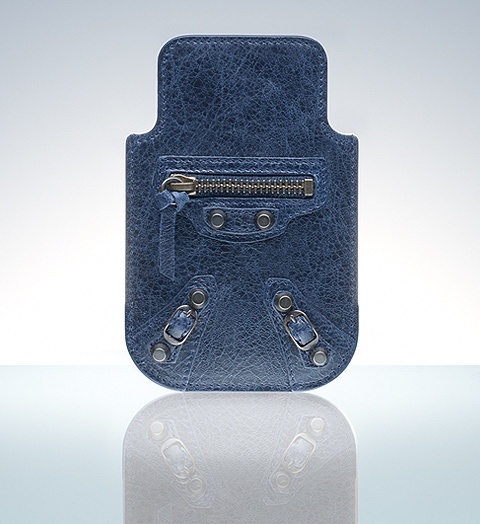 Milka sends us pictures of her brand new 2011 Limited Edition Turquoise City with Gold Hardware! 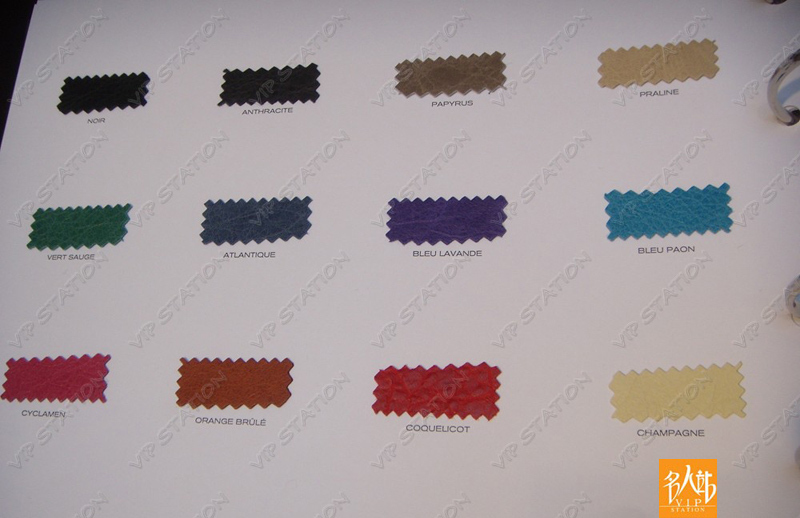 This limited edition color is supposed to replicate the ever so popular 2005 Turquoise! Congrats on this amazing purchase. Sannie shares with us her gorgeous 2009 Sanguine Twiggy. Sanguine is not too bright of a red so it makes a great neutral especially against her gray dress. Love your style! Lovely Rebecca shares a gorgeous travel picture of her and her mother in Florence, Italy. She carries her beautiful 2007 Pine GGH City which looks beautiful on her! Cat Deeley was spotted on April 14, 2011 shopping at Tory Burch in London. She wears a beautiful Balenciaga leather biker jacket in Camel color with brass zippers. Just like the motorcycle bags, their motorcycle jackets come in a variety of colors each season that are more on the neutral side for wearing. Camel is such a unique color and is a great for outerwear! 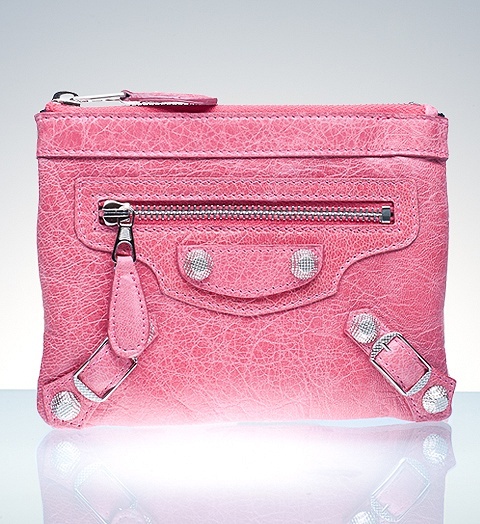 Click here for details on entering our current giveaway for a lovely Balenciaga pouch and other goodies! Ends Saturday 4/30/11. Salma Hayek was spotted on April 22, 2011 going on a dinner date with husband Francois Henri Pinault in Miami, FL. 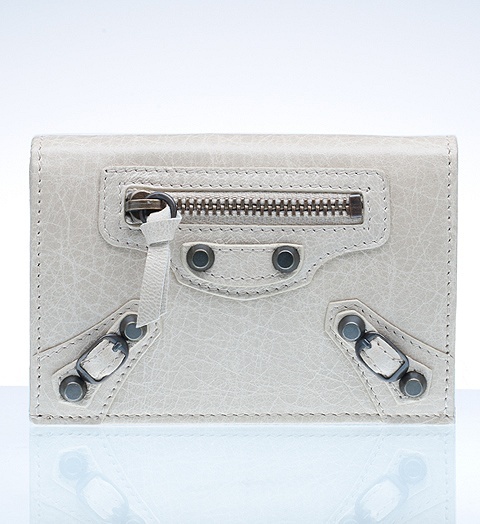 Her choice of bag is a gorgeous Balenciaga Envelope Clutch with silver hardware. 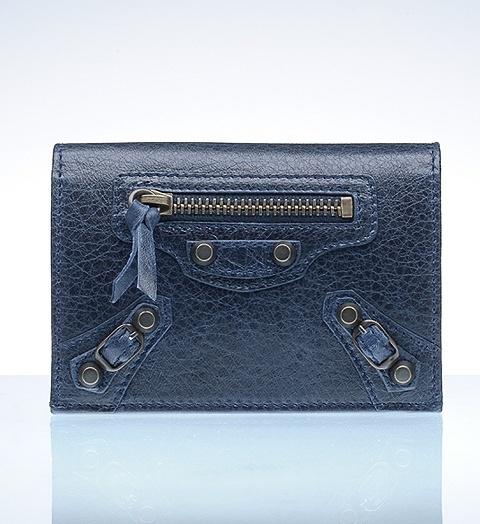 The Envelope clutch is ideal for evenings out and especially looks chic with a little black dress. 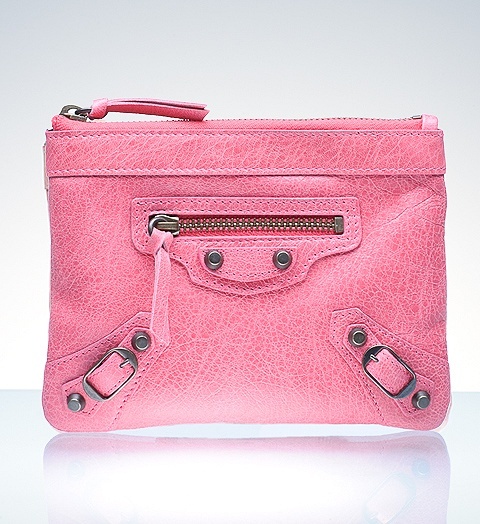 Click here for details on entering our current giveaway for a lovely Balenciaga pouch and other goodies! Ends 4/30/11. Glee star Lea Michele and boyfriend Leo Stockman were spotted at LAX Airport today, April 23, 2011. 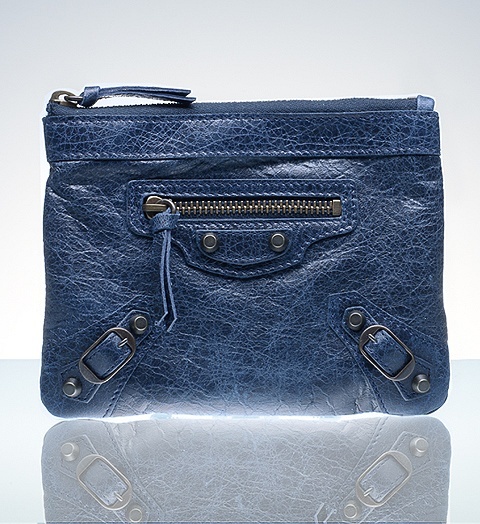 Lea carries her well worn black Balenciaga City with Giant Covered Hardware. 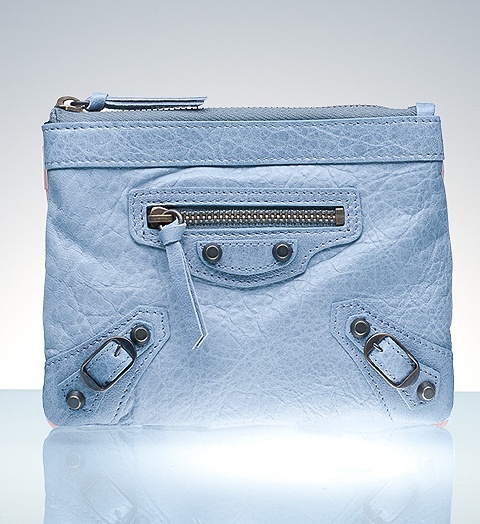 One of the covered studs on Lea's Balenciaga bag has started to peel so we can see the silver hardware underneath. 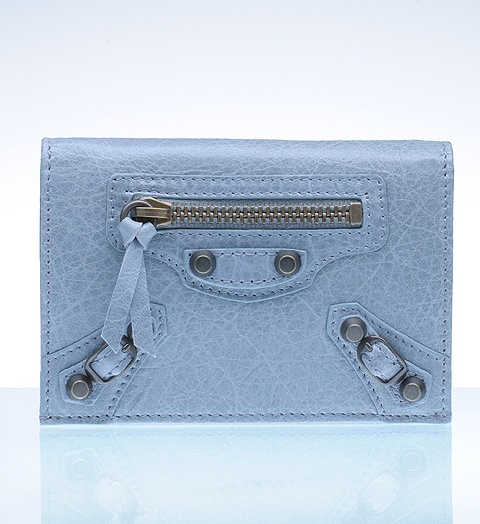 This is an unfortunate downside to owning a covered hardware bag otherwise it's gorgeous bag! One more week! 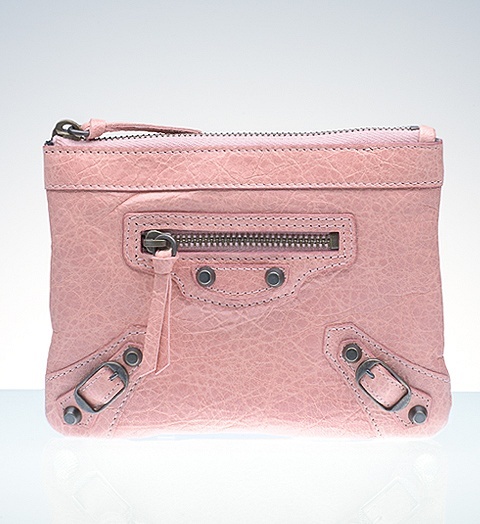 Click here for details on entering our current giveaway for a lovely Balenciaga pouch and other goodies! Ends 4/30/11. Hilary Duff was seen stopping by a doctor's office (tattoo removal clinic) in Encino, CA today, April 21, 2011. She looks casual and chic wearing a striped maxi dress with her bright and sunshiny yellow Mimosa City. 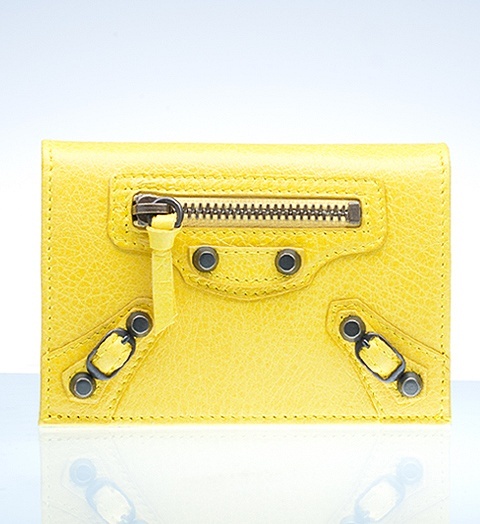 Mimosa makes a great spring color for this season since the bright colored trend is very in right now. Gisele Bundchen was spotted carrying a rare Balenciaga gem to the gym today, April 20, 2011. 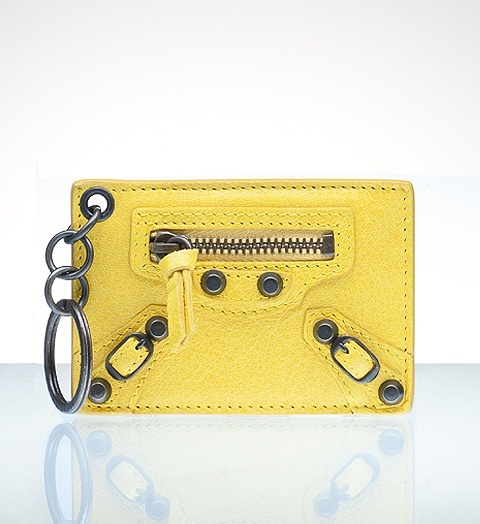 She carries a black Balenciaga Flat Brass First without the shoulder strap. 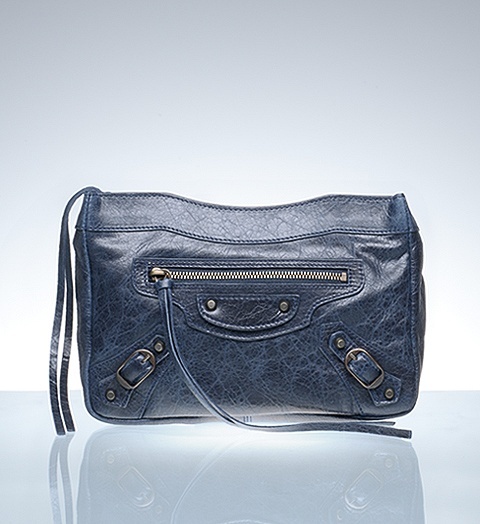 It is very special since it boasts the flat brass toned hardware studs and is one of Balenciaga's first motorcycle bags. Nicky Hilton attends the 2011 Coachella Annual Music Festival. She was spotted during April 16, 2011 (day two) carrying a white Balenciaga City. Last year she was carrying her 2005 Apple Green City! The pictures show her, a friend, and sister Paris having a blast at the Neon Festival. Her City bag also goes on an adventure with her down the slides. 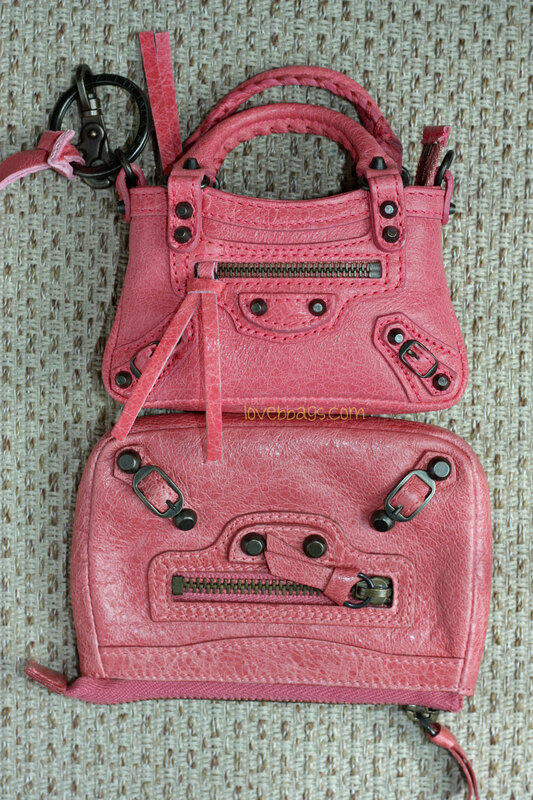 I must mention her friend was also carrying a gorgeous 2005 Magenta City cross body style! Emily and Carson have decided to collaborate with my blog and host a giveaway so they can receive a chance at winning their dream wedding from the Crate and Barrel wedding contest. 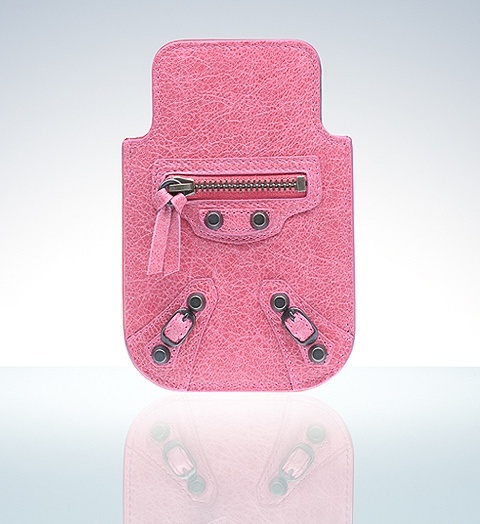 This giveaway will be open to worldwide blog readers! 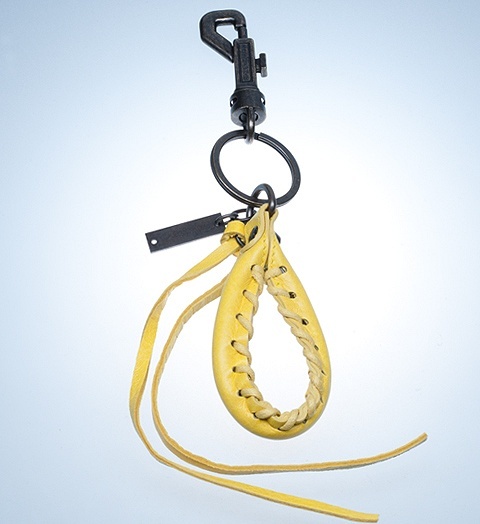 Winner will be chosen at random through a number generator. 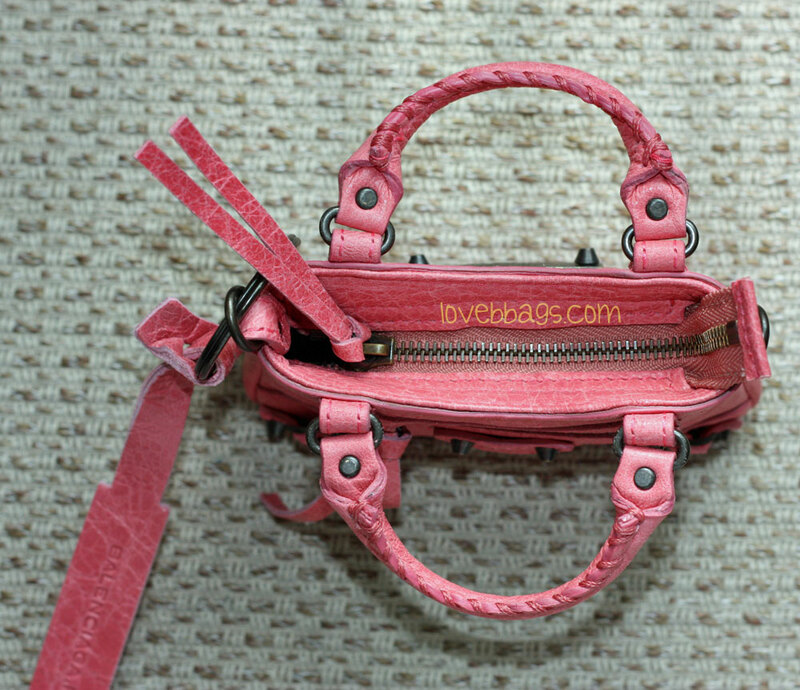 Giveaway Ends: 4/30/11 at 11:59PM Eastern Time. Winner will be announced 5/1/11. Stila Lip Glaze in "Brown Sugar"
Keep that window open and fill out this entry form below with your email (Facebook or other) that you voted with and also put the number vote you are. Giveaway Details: The voting link will track the votes, if your vote does not match up to the click number then your entry will be forfeited. This is to be fair for everyone else. Prize will be mailed via USPS First Class Mail with delivery confirmation or USPS International First Class. 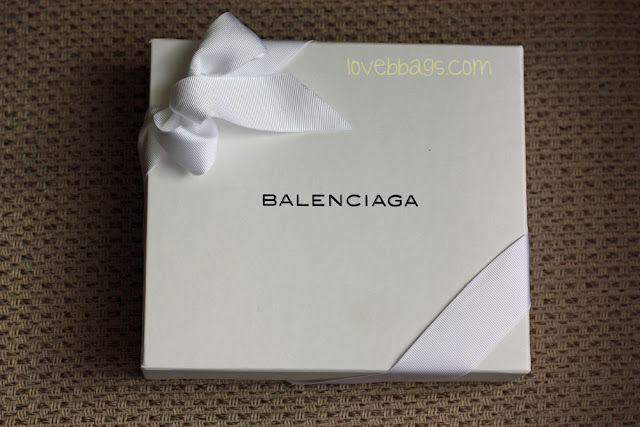 I am not affiliated with Balenciaga or any of these beauty brands in any way. Odds of winning depend on number of entries received. This contest is opened to everyone. Once winner is announced, they must contact me by email within a week to give address details for shipment of prize. Nicole Richie finishes a workout at the gym on April 13, 2011. Being petite at 5'1" doesn't stop her from carrying an over sized bag! 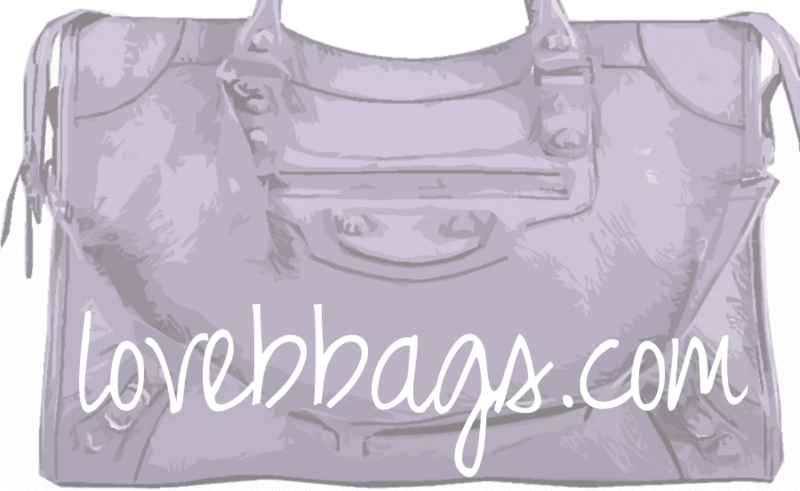 She is seen here wearing her lovingly worn white Balenciaga Weekender bag. 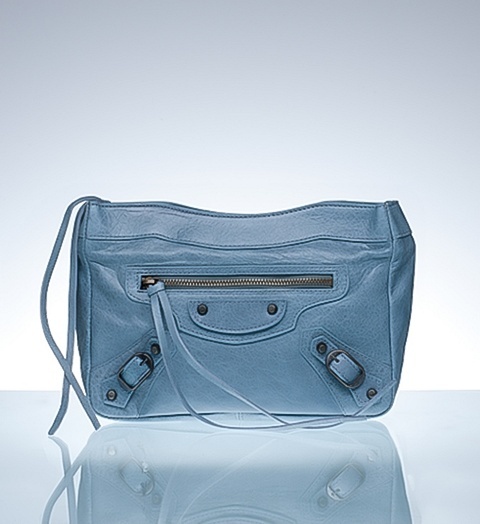 It is the roomiest off all Balenciagas and is great as an overnight bag. Is it just me or does it look like she's expecting again? We will hold our next giveaway either tonight or tomorrow stay tuned! 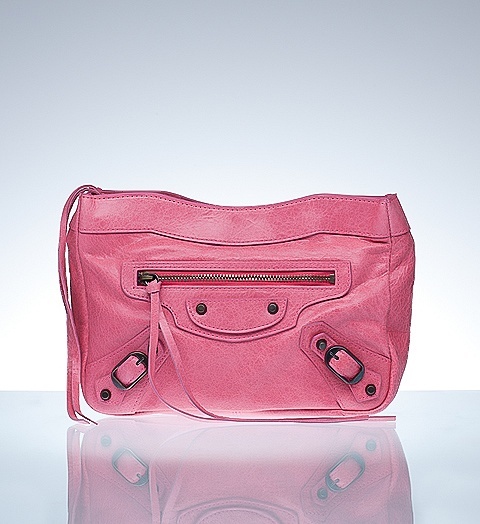 Finally, Balenciaga.com has put up some of the long awaited S/S 2011 small leather goods! Some pieces that are cute and fun are the Giant Coin Purses that are now available in Rose Gold, key rings, mirrors, and the Make Up Clutch! 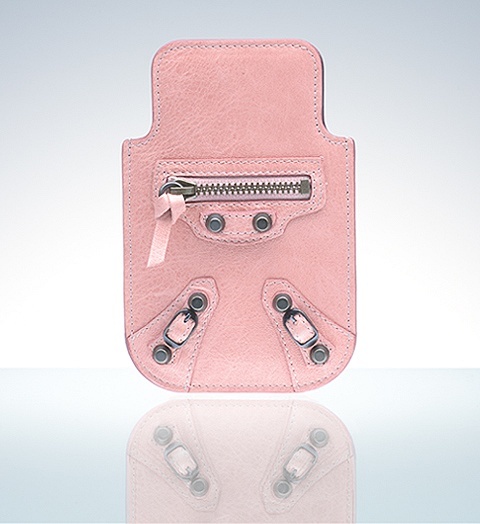 Though the mirror key case is adorable, its a little bit overkill since mirrors come with most of their bags. Noticeably missing was Vert Menthe... where did this elusive green go? 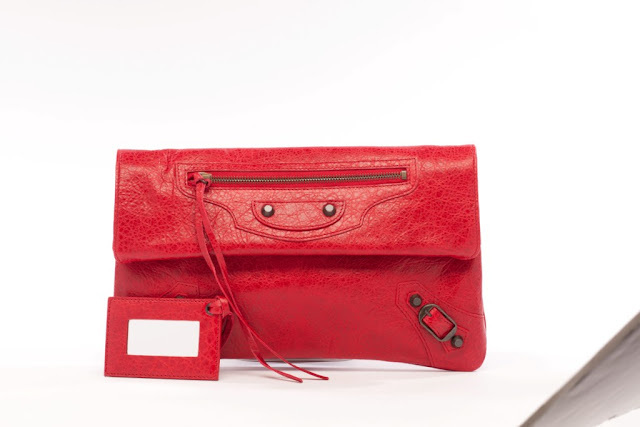 Somebody get this gorgeous Raisin Envelope Clutch!